This flower was on a very large hedge shrub in the backyard of our house in Puako. I finally got a book on the Hawaiian flowers so I could start identifying everything! This is Oleander. The flower is quite beautiful and really different…it was sitting pretty high up on the shrub. I am starting to get a feel for how much watercolor to leave and how much pencil to work in, I was pretty happy with the combination here. 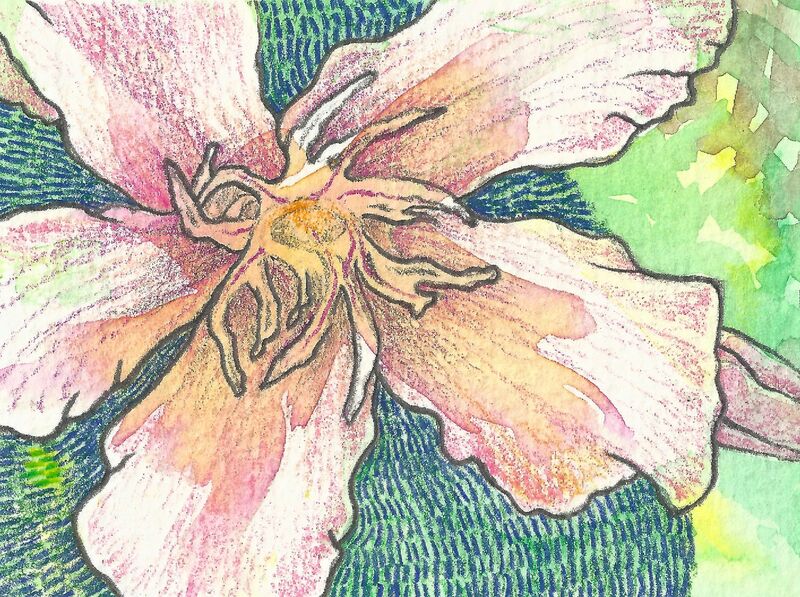 This entry was posted in Uncategorized and tagged colored pencil, Hawaii, oleander, small painting, watercolor. Bookmark the permalink.